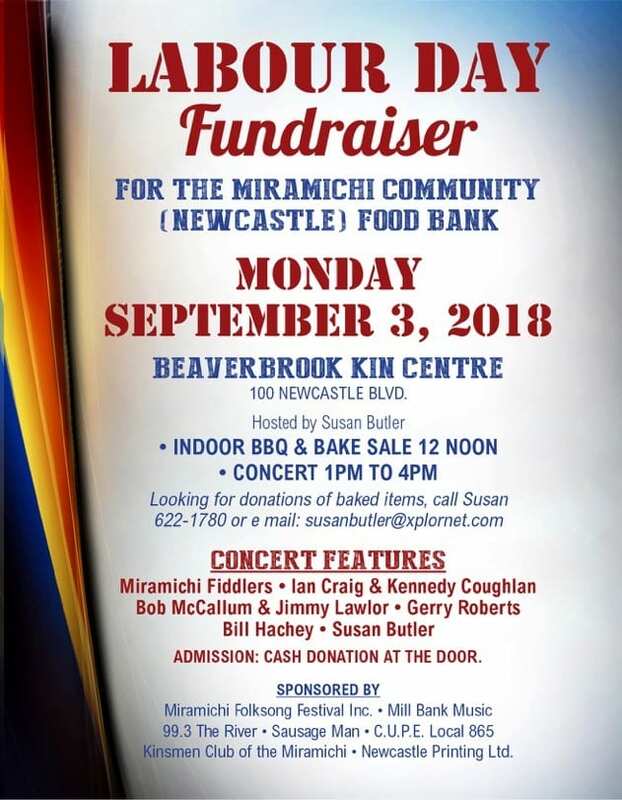 On Monday, September 3rd, 2018 [Labour Day] come out to the Beaverbrook Kin Centre, 100 Newcastle Boulevard to the Labour Day Fundraiser for the Miramichi Community [Newcastle] Food Bank. Admission is a Cash Donation at the Door. 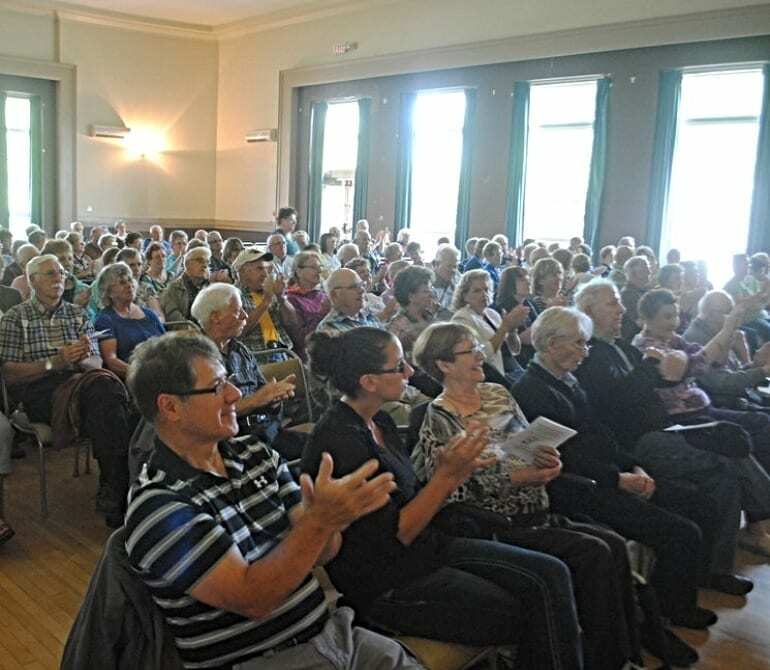 Hosted by Susan Butler, this event kicks off at 12:00 pm noon with an Indoor BBQ and Bake Sale, with the Concert from 1:00 pm to 4:00 pm. Looking for donations of baked items, call Susan Butler at (506) 622-1780 or by email at susanbutler@xplornet.com.